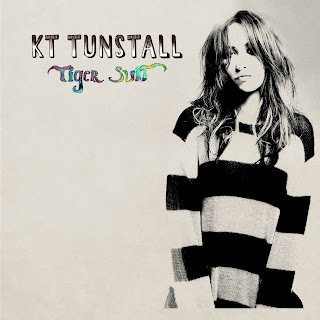 When I was offered to review KT Tunstall's new upcoming CD Tiger Suit, I was super excited. If you aren't familiar with KT's music, you definitely will remember a couple of her previous hit songs - the Grammy-nominated "Black Horse and the Cherry Tree," and "Suddenly I See". I absolutely love both of these songs. They have great lyrics and beats to really get you in a dancing mood. KT is a Grammy-nominated, multi-platinum, Scottish-born singer-songwriter. Along with KT's new cd Tiger Suit KT will be on tour this Fall (10/31-12/1). She will be hitting 17 US cities. Tiger Suit heralds the beginning of a new musical adventure for KT. Organic instrumentation is blended with dance-friendly textures, the results of which she has dubbed “Nature Techno” to encapsulate the album’s collision of raw, upfront rootsiness and sleek electronic textures. The album's rollicking first single, “Fade Like A Shadow" is available at digital retailers now and is already at Top 20 hit at radio. Check out the video here. Where to buy: You can purchase Tiger Suit at Amazon or Best Buy. Preview Tiger Suit before purchasing. Follow: KT Tunstall on Twitter and on Facebook plus don't forget to check out KT Tunstall's website.